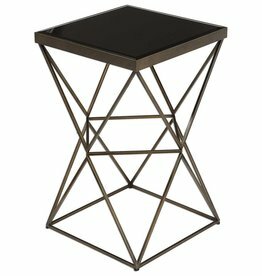 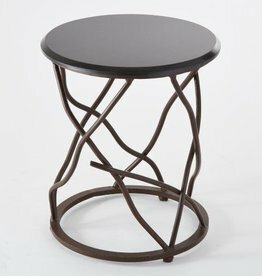 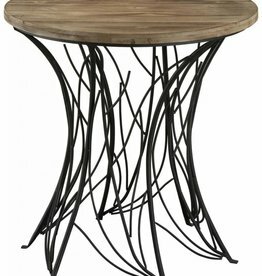 Pull-up, cantilever style accent table in plantation grown mahogany wood finished in a worn black, rubbed to reveal honey undertones. 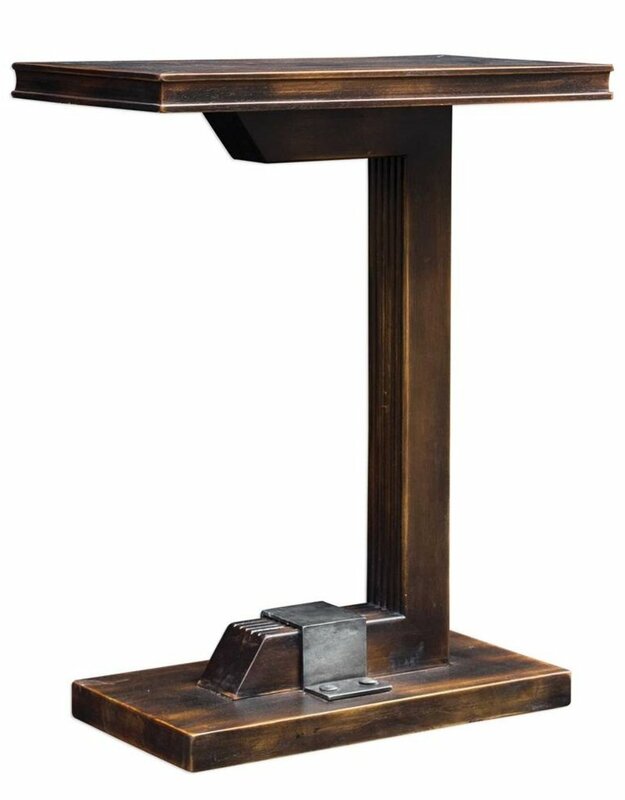 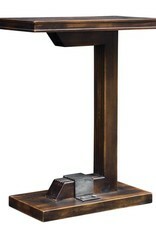 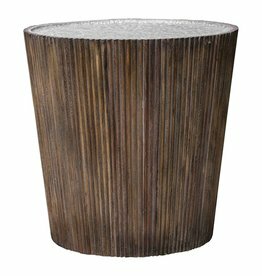 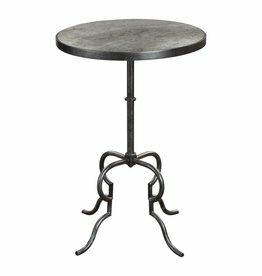 Base features a ribbed support with a riveted industrial bracket in an old steel finish. 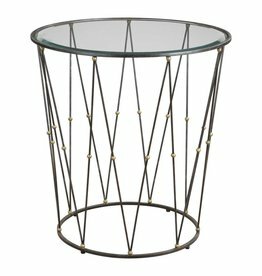 Caged frame in antique bronze, finished steel with beveled black tempered glass top.